Being accused of a crime, either personally or professionally, is extremely stressful and worrying. Cohen Cramer are here to help you and to support you. Cohen Cramer’s elite team defend commercial and private clients accused of general criminal offences. 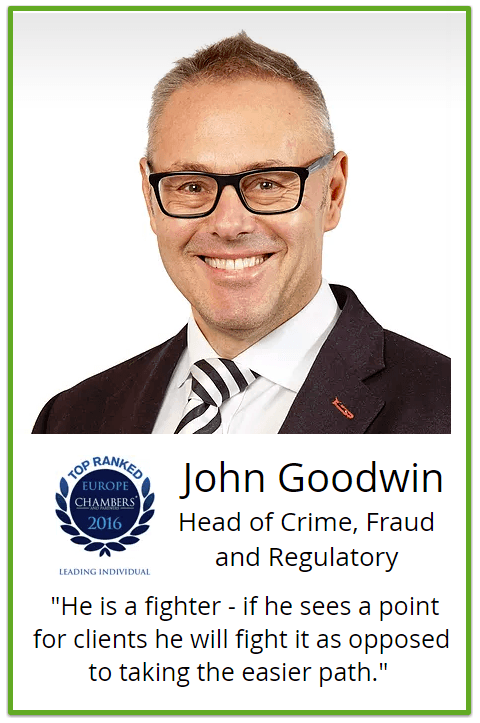 We also specialise in key niche areas too such as serious fraud, regulatory issues and driving offences. 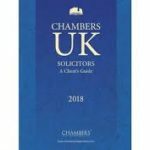 Tactful and sensitive, yet tenacious and determined, our expert solicitors are leaders in their field. 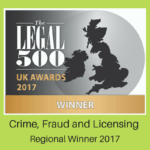 We are proud winners of 2018 Legal 500 Financial Crime and Licensing regional firm of the year. Spanning over 25 years, our experience includes major international, as well as local and national cases. You can feel reassured that you are in the best hands, and confident that you will not be paying over the odds for the best defence. Our costs are transparent and we will give you a clear outline from the start, so you always know what to expect. We will always see things from your point of view and work swiftly for the best possible outcome. Transparent costs with no hidden charges. Experienced specialists who balance legal expertise with a genuinely caring approach. Impartial advice and practical guidance. An approachable and accessible team, available 8:30am-5:30pm Monday to Thursday and 8:30am-5pm Fridays.